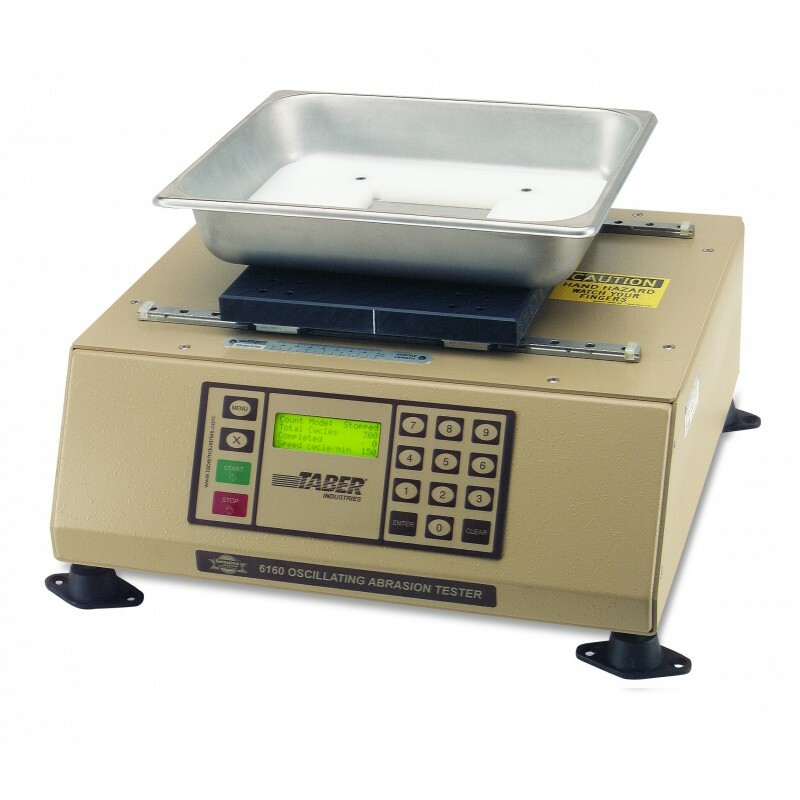 Also known as the Oscillating Sand Tester, specimens are mounted in a holder located in the bottom of a tray which is filled to a uniform depth with a standardized abrasive media. The tray reciprocates in a back-and-forth motion which causes the entire mass of the abrasive media to shift. 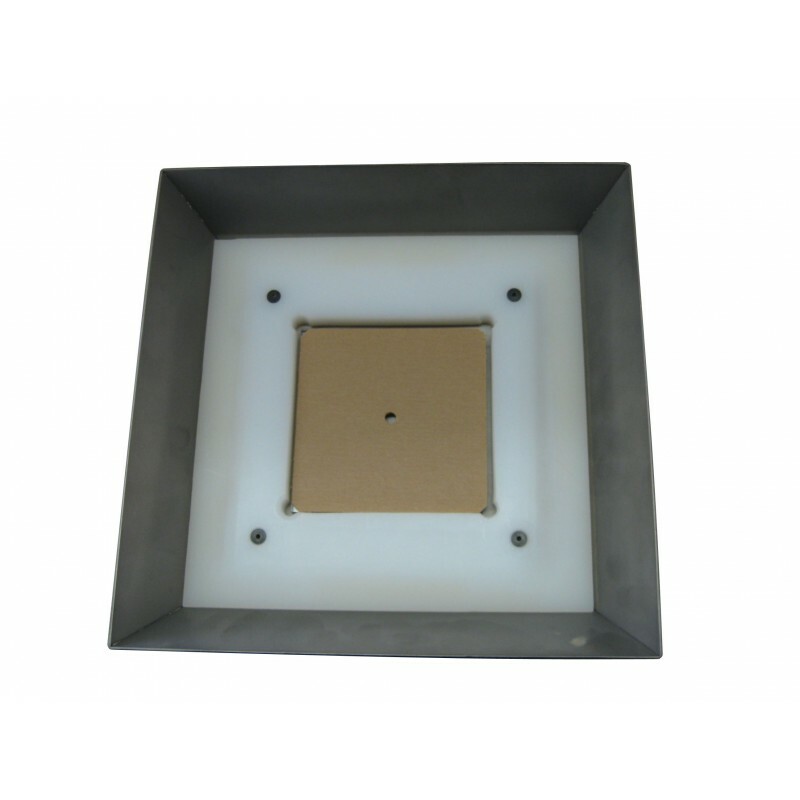 Includes: 10" x 10" specimen tray with square specimen holder; 6/9 silica abrasive media (50 lb); spirit bubble level; specimen spacers (set of 8); specimen removal tool; 6 inch rule; power cords; mounting hardware; and operating instructions. 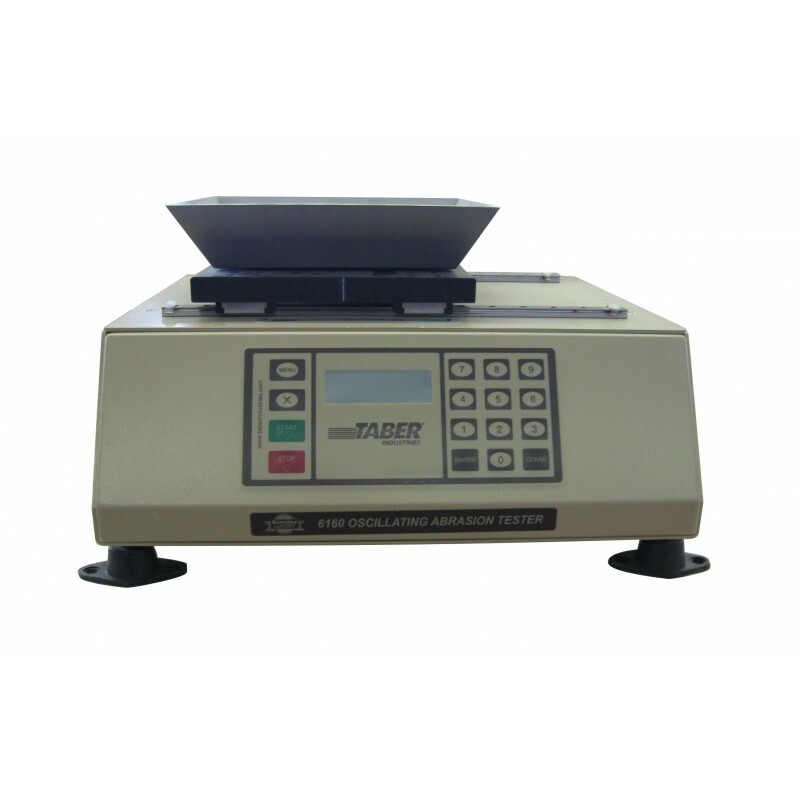 The Oscillating Abrasion Tester is best known as an "oscillating sand tester". Described in ASTM F735, the tester is used to measure the relative abrasion resistance of a material to surface abrasion and / or marring. The primary application is for transparent materials and coatings utilized in windows and lenses.